The Bob Moore INFINITI car dealership in Oklahoma City has a fully stocked parts center on site. As an authorized INFINITI dealership, we only have legitimate factory parts in our inventory. You don’t have to worry about getting the cheap copies of real factory parts that you might get if you go to an unauthorized automotive parts store. If you’re planning to take on an auto repair job, visit Bob Moore INFINITI today to get genuine INFINITI parts from the factory. We are the preferred Oklahoma City car dealership for genuine INFINITI parts. If we don’t have the accessories you want at our Oklahoma City car dealership, we’d be happy to order them for you straight from the manufacturer. 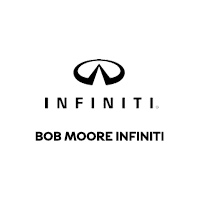 Discover all of the exhilarating INFINITI accessories at the Bob Moore INFINITI car dealership in Oklahoma City. Our parts center is great for customizing your vehicle as well as providing parts for auto repair work. One of the most important assets that any parts center can have is its staff. The staff working at our parts center is composed of automotive experts that are prepared to help you with any questions you may have. If you go to one of the automotive parts chains, chances are that the employees won’t be able to help you with your INFINITI vehicle like ours can. As previously mentioned, you also run the risk of getting substandard parts. Meet with the friendly and knowledgeable employees at Bob Moore INFINITI in Oklahoma City today. We’ll help you out with anything you might need for your auto repair or customization. Our website even offers visitors the option to order the parts they need without leaving the comfort of their own homes. We’ll call you or email you (whichever you select) when the part is ready. This function can be especially helpful if you’re ordering a part or accessory that we can, in turn, order from INFINITI. Submit an order through our online order form today and we’ll have your parts ready as soon as possible. Get started on your auto repair project that much quicker when you order through our website. Drivers in the Oklahoma City area can swing by the Bob Moore INFINITI parts center today to get genuine factory parts. The expert staff members working in the parts center are more than happy to assist you with any questions you may have. You can order your parts online by using our website or simply come into Bob Moore INFINITI – Oklahoma City’s premier destination for Japanese luxury cars and parts. In addition to our inventory of vehicles and parts, we have a factory-authorized Service Center on site that can take care of any auto repair or maintenance needs you may have if you don’t want to do it yourself. Come into our car dealership in Oklahoma City today for all of the genuine automotive parts you need.